Tashi delek! Do you want to learn Tibetan and impress your boss or beau? Want to enjoy your favourite Tibetan music without the subtitles? Join our Online Tibetan lessons and learn from our most Experienced Native Tutors through Skype from the comfort of your home! Tibetan language is classified as member of Tibeto-Burman subgroup of the Sino-Tibetan languages and is spoken in Tibet. It is also spoken to a lesser extent in India, Nepal and Bhutan. Tibetan is a diverse language and is spoken in various forms and dialects across the Tibetan plateau. Tibetan language has four major Dialects and many Tibetan dialects are mutually incomprehensible. However they all share the same literary language. 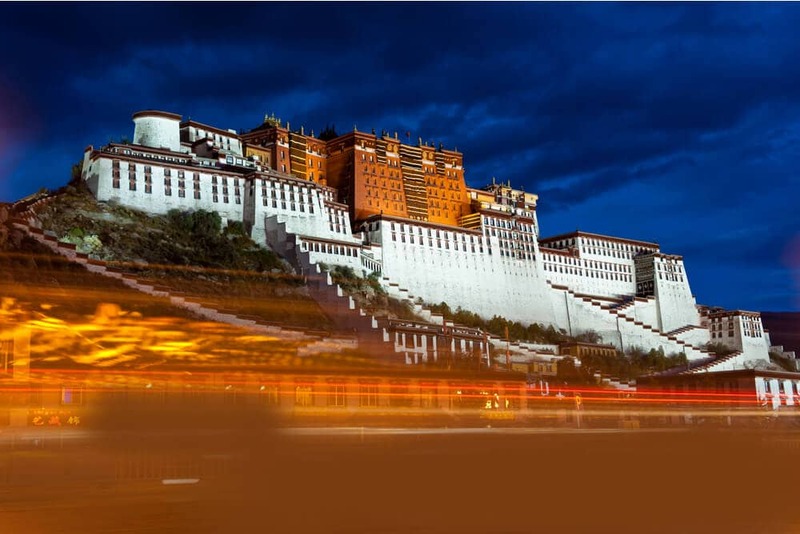 The standard language is based on the dialect spoken around the capital, Lhasa. The Tibetan script developed during the 9th century. Today there are thousands of religious texts in Tibetan language. These texts are written in Classical Tibetan. The language as it is actually spoken today is called Colloquial Tibetan. Learn Tibetan online for work, travel, or personal reasons from our native tutors via Skype from the comfort of your home or office! The study of Tibetan language allows for much greater understanding of the people who speak the language and their culture. The rich and diverse culture, unique religious identification and way of life of the Tibetan people are embedded in the Tibetan language. Learning Tibetan will help you understand the Tibetan folklore that has been passed down through generations. Tibetan music also reflects the culture and heritage of its people. Learning Tibetan will help you help you gain a better understanding of the music, traditions and culture of this beautiful country. Also learning Tibetan will give you the opportunity to study the corpus of richest resources of Buddhist philosophy as well as ancient teachings in the fields of philosophy, art, and Eastern medicine. Also learning Tibetan is a way to contribute to the continuation of the Tibetan tradition and culture. Looking for private online Tibetan lessons? Look no further ….as we offer the most convenient and cost effective method to learn Tibetan online via Skype irrespective of your geographical location. Through our online platform you can learn Tibetan from a native tutor in an easy, convenient and fun way. All you need is a reliable internet connection, a webcam, and a microphone. Whether you are a beginner, intermediate, or advanced student, we are here to help you learn or enhance your Tibetan knowledge. On our platform every lesson will be personalized to your own particular learning objectives and pace of learning. We can customize the programmes according to your objectives; whether you want to learn Tibetan for work or travel or family reasons, or take an exam, we will tailor a Tibetan course to you. There is complete flexibility in scheduling lessons. So join our online Tibetan classes today and learn Tibetan in a simple, secure and guaranteed way! You can now take Tibetan classes one-to-one using Skype with a tutor of your choice. Our Tibetan lessons are custom, effective, comfortable, and fun. Pick a tutor NOW! Choose anything specific. Whether it is conversational Tibetan classes, business Tibetan lessons or just learning how to greet and impress a loved one. We can help you with them all.